Tory Burch pleated dress in Black Fashion Sale | Shop sales online with Fast Delivery! Classic styles with subtle detailing are a covetable trait at Tory Burch. With a global mind-set, the Tory Burch woman is sophisticated and cultured with a soft spot for eclectic touches. 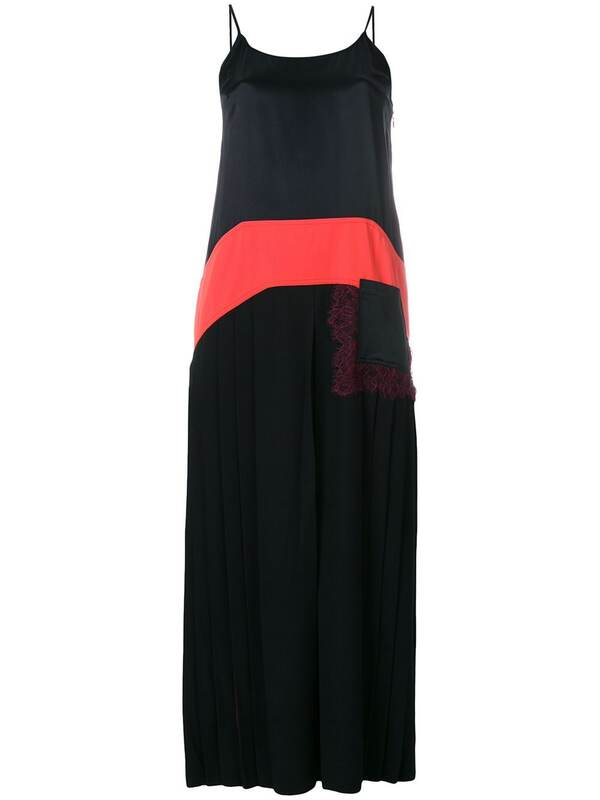 This black and red silk pleated dress from Tory Burch features spaghetti straps, a deep U neck, a concealed side zip fastening and a pleated skirt. This item fits small, please select the next size up.